During this tour signs of retirement on part of enemy observed and on the 18th the Division on left report the evacuation of enemy posts. 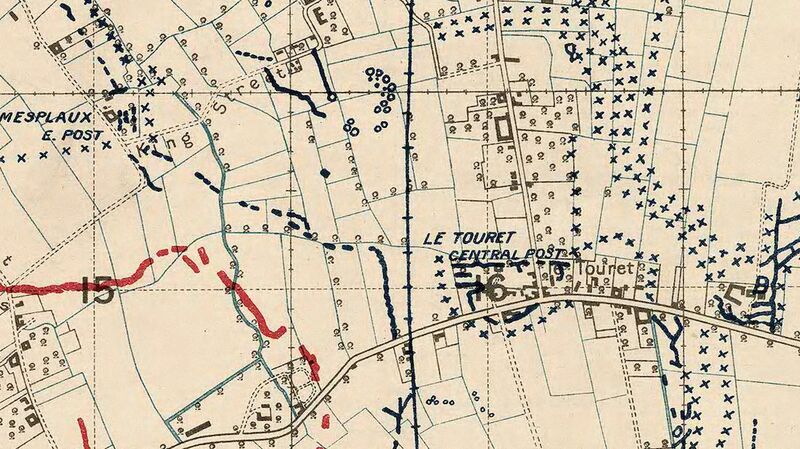 On 19th we commenced to push forward and advanced line to King Street and got around the village of LE TOURET. 8 of the enemy together with 2 machine guns were captured. Many of the enemy were killed. 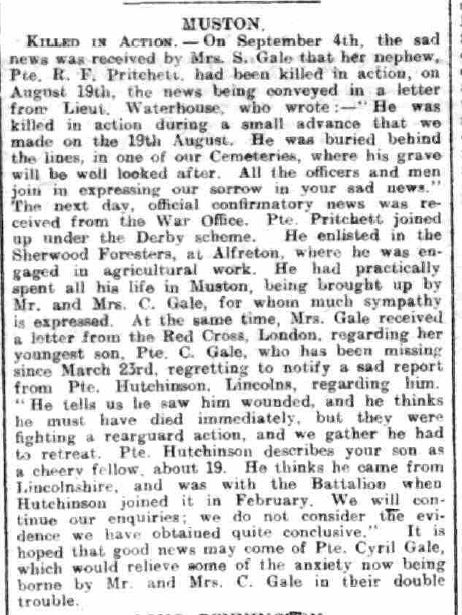 19.8.1918: Quite day. Patrols were in touch with enemy during the day. After dusk we established a post X.8.b.55.85. At 12.10am we successfully projected 300 Gas Drums into LE TOURET. No retaliation was noticed. 20.8.1918: Quite. 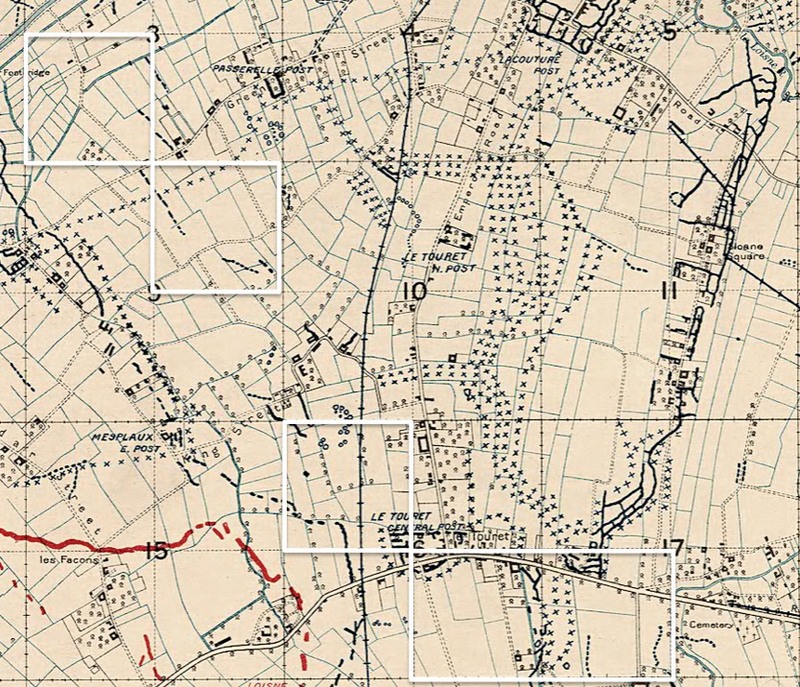 By 9am posts were established along King Street from Canal at X.8.b.4.5. to X.9.c.5.7. By evening our line ran X3c, X9b, X16a, X16d, X17c approx. In touch with Brigades on flanks. Captures during the day. Killed at this time were…. 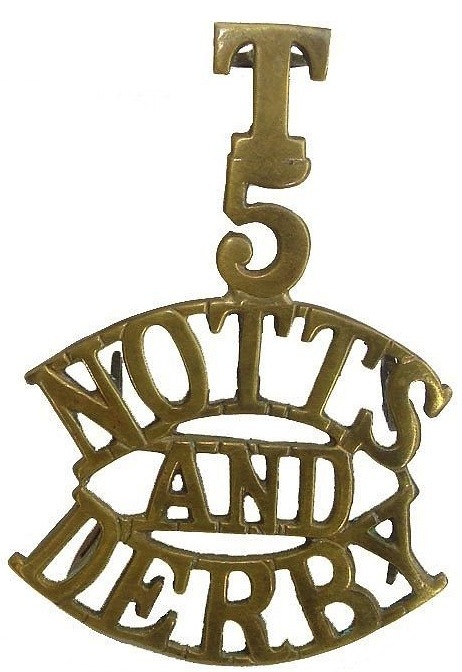 4430/201551 Pte Frank Arthur Southam from Ashby-de-la-Zouch. 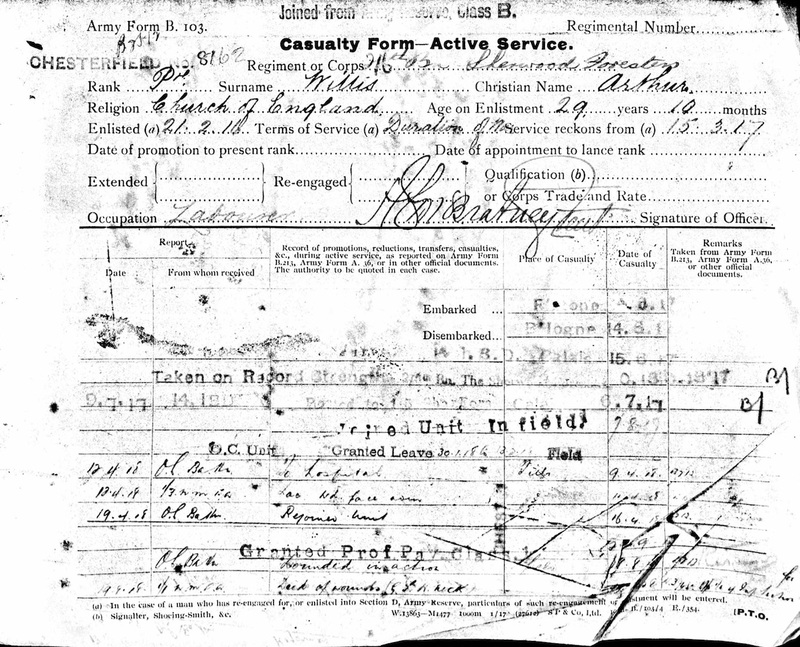 Arrived in France in 1916 and only served overseas with the 1/5th Battalion. 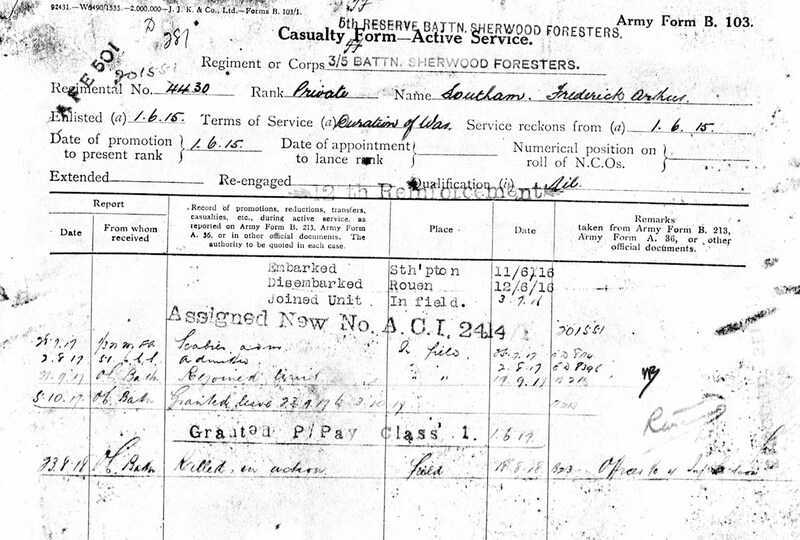 203673 Pte Arthur Willis from Staveley. 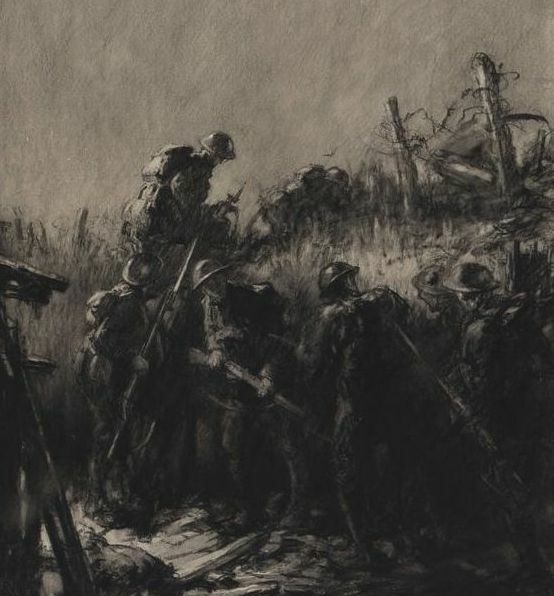 This entry was posted in On this day and tagged 201253 Pte Reginald Cecil Pritchett, 203673 Pte Arthur Willis, 4430/201551 Pte Frank Arthur Southam, Le Touret on August 23, 2017 by mikebriggs1910.